Multi award-winning Creative Director, Resham Kaur Sidhu stands as a globally prominent creative force and thought leader in the realms of digital innovation, virtual reality and immersive media. Sidhu completed her degree in design and visual communication at the University for the Creative Arts. Freshly qualified, in 1999 she secured work creating design and advertising concepts for major video game titles and quickly transitioned into the digital space – building an impressive interactive digital portfolio. In 2013, whilst Creative Director at AKQA in London, Sidhu seized an opportunity to back the then-new Oculus Rift Kickstarter campaign – for their VR headset. Struck by its power to create emotional connections, she encouraged high-profile clients like Nissan to be among the first to employ VR as a means to engage consumers and create the future. Three years later, Sidhu took up post as Virtual Reality Creative Director at the iconic Oscar-winning visual effects powerhouse, Framestore, based in their New York office. She headed up the VR studio and team, working on multi award-winning projects like Fantastic Beasts VR Experience for Warner Bros. in Partnership with Google Daydream. Sidhu recently returned to AKQA joining the New York Leadership Team. Her work spans a huge variety of award-winning projects for clients including Nike, Google, Volvo, PlayStation, HBO, Universal Studios, Nickelodeon and Samsung. Sidhu has served on juries for D&AD, AKQA’s Future Lions, The Webbys, Cannes Lion and other top awards shows. She is a frequent contributor to publications including Advertising Age, Campaign USA, The Drum, Creative Review and Fast Company, amongst others. Sidhu has been named as a leading female pioneer in VR by Marie Claire magazine. She has been honoured with the top industry awards for her innovative work, as well as receiving multiple advertising accolades throughout her career. 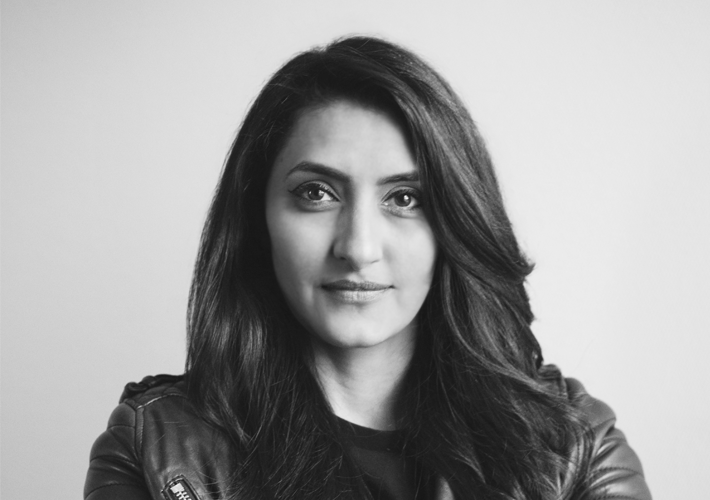 Most recently, Sidhu was named a Top 50 creative leader by Creative Review, and voted one of the World’s Most Creative Women in The Drum, earning her the title ‘Queen of VR’.